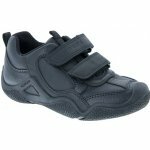 Geox Wader J8430A boys velcro fastening school shoe. With durable heel and toe bumpers, this style is ideal for active kids! 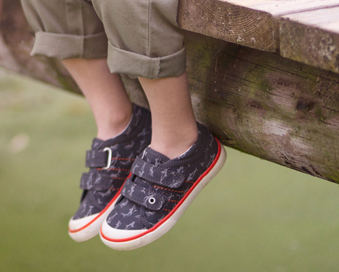 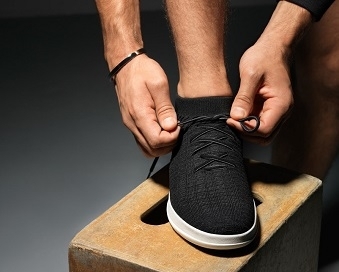 The padded collar and breathable sole unit provide extra comfort and help to keep feet cool and fresh all day. 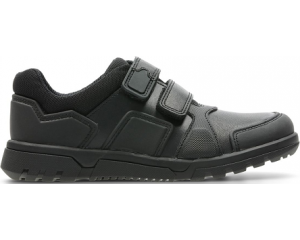 A double velcro strap allows for easy on and off access, as well a secure and adjustable fit.